Come visit the new Maker’s Mart of Northville! Held under the umbrella of the Arts and Acts Festival, this portion of the event will highlight the beauty and utility of craftsman and artisans from throughout Michigan. 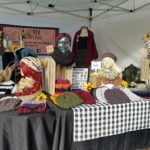 Check out the unique work of local crafters and makers from wood working to crochet, soaps to totes! 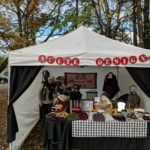 Interested in being a vendor in Maker´s Mart of Northville 2019? Event Hours: Friday, June 21 3 p.m. – 8 p.m., Saturday June 22 10 a.m. to 8 p.m., Sunday June 23 10 a.m. to 4 p.m.
– Volunteers available throughout the festival. – Free overnight parking within walking distance of the festival. – An Artist Brunch on Sunday morning in town square. – A picturesque victorian town as a backdrop located halfway between Ann Arbor and Detroit. Vendor information: To be considered for this show, please submit an application through the link above and include information about your products, four (4) images of your products and at least one (1) image of your booth set up (indoor or outdoor). Once accepted, you will be sent a welcome letter, hold harmless agreement, and a link to purchase your booth space. The Maker’s Mart of Northville is an outdoor event. Vendor must provide own tent, table and chairs. Tents must be anchored with weights on all four corners and be able to withstand wind gusts. No MLM businesses or items assembled from kits will be accepted. Makers are REQUIRED to be at the show during all hours it is open to the public. Maker demonstrations are encouraged! 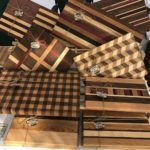 Maker’s Mart of Northville will bring a new energy to Arts and Acts and highlight the talented makers, artisans, and fine crafters throughout the area. With the exception of a recommended donation for the chalk festival, Arts and Acts is a free event. It is also a major fundraiser for the Northville Art House. The funds raised allow us to bring quality art exhibits and art education to Northville and the surrounding communities.